We live in an age of interconnectivity. We’re constantly connected to others and the internet via our smartphones, social media and apps. This is great for looking up the name of an actor in the film you’re watching, or finding an old friend’s Facebook profile. It’s also great for employers and staff, putting information at your fingertips no matter where you are – Evergreen create bespoke mobile apps to help you harness the power of smartphones and tablets for your business. Smartphones and tablets have revolutionised the way people work: employers can now give staff the resources to work independently and outside of the office – at home, on the train or in a café. Evergreen apps integrate with cloud-based office systems, giving staff unrestricted access to information and making their workload more flexible. The benefit of using bespoke apps is that they’re fully integrated into your existing systems in ways off-the-shelf software isn’t. For example if you’re travelling and lose coverage we can ensure you don’t lose your data – Evergreen can create an app that works offline and synchronises when the connection returns; our offline app systems can access key data from your central system and store it for offline use. Imagine being able to take a prospect’s signature via your iPad or use your phone’s camera to attach photos to a customer’s record. Employees could carry a full up-to-date catalogue with 3D imagery or even a real-time work schedule in their pocket. Your off-site staff will never be lacking information with an bespoke mobile app from Evergreen. Employees on the road can use their secured mobile devices to send and receive data via your main system databases for your office staff to action. Mobile apps make life easier and the same is true in business – if you’re not using apps at work your competitors are. Evergreen have a proven track record – we’ve made apps for lots of happy customers. Evergreen worked with this special needs transport provider to develop an easy-to-use mobile system to inspect over 140 vehicles per month for Taxi badges, Tyre tread depth, cleanliness and other critical contract points. 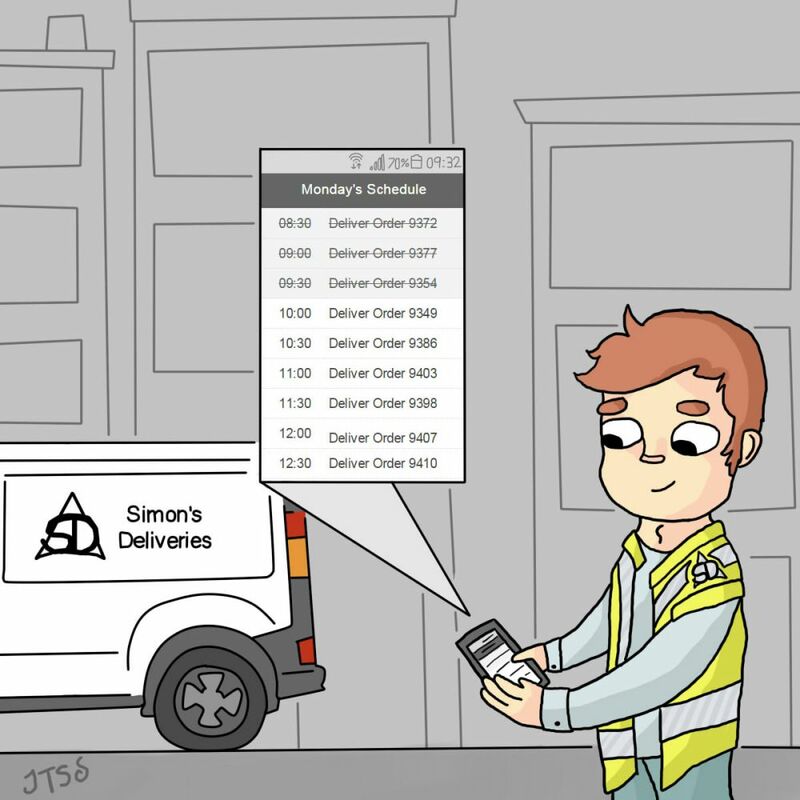 Using an iPad, Tim's Transport employees can manage their priority inspections and can schedule follow-ups and send messages to the drivers. For the full case study please click here. Evergreen created an Android app to allow referees and club coaches to record rugby game scores. This app works offline and will send the points scored by both sides plus the exact latitude and longitude to the GRFU for verification and inclusion in the county league tables. Evergreen have worked with NLS since 2007 to develop a first-class business management system that allows customer orders and quotations to be coordinated with available engineers quickly and efficiently. Off-site engineers use an Evergreen app to manage the job details and carry out H&S assessments, record their time and parts used, and take a customer signature - all on their mobiles. Evergreen create innovative, effective, bespoke software. To speak with one of our project managers and find out how we can help your business please call us on 01454 269 087 or send us an email.